I have a bit of a confession to make. I never really paid much attention to properly maintaining my vehicle until my husband and I were married. I didn't really grow up with a dad who was into cars the way my husband is. I knew how to do things like pumping my own gas, wash the car and check the oil, but that was pretty much the extent of it. My uncle bought me a tire pressure gauge and taught me how to check the air in my tires when I was seventeen years old. No one ever taught me about the importance of maintaining my car the proper way, so when my husband and I got married and he realized that I had little to no experience in maintaining a car, he had his work cut out for him in teaching me why it's so important. My husband is really very adamant about keeping our vehicles clean- inside and out. He tracks mileage, changes the oil himself, and even does minor maintenance on both cars. I've learned a lot from him, especially the importance of keeping the cars running smoothly. I've also learned how important a good cleaning is, and even detailing. Detailing can protect your car from harmful contaminants that can cause damage to the car's exterior over time. No one wants to think about things like fading sealant or chipping paint, but the truth is- it can happen much faster if you don't take the steps to protect your car's exterior. Let's face it, your car isn't really much of an investment. It depreciates in value as soon as you drive it off the lot. Unless you have disposable income, you'll probably plan to drive your car for as long as possible, so you'll want to do your best to take care of it. Everyone knows how difficult it can be to sell a used car. What's wax got to do with it? Ever wonder why people go the extra mile to wax their vehicles? It's kind of like putting a rain jacket on when you have to go outside on a rainy day. You want to protect yourself from the elements, right? Your car has to face harsh weather conditions year-round and may be dealing with everything from blasting sun and heat to freezing temperatures, snow, and ice- plus dirt and road salt/slag. If you never bother to protect your car's exterior, that beautiful, shiny top coat is going to fade, and possibly peel off, which looks unsightly! Once the top coat gives way, it's only a matter of time before the paint starts fading, too. Just by waxing your car 2-4 times a year, you'll be giving it the extra protection it needs to stand up against the harsh conditions it'll be facing through the seasons. Detailing will keep you safer! This may seem like a far-fetched concept, but it's not! Think about this- if your kids or co-workers have been sick, do you clean and disinfect their work/play areas? I Lysol my entire house when the kids have been sick, and I used to do the same thing at the office if anyone else came near my desk, used my phone or computer, etc. 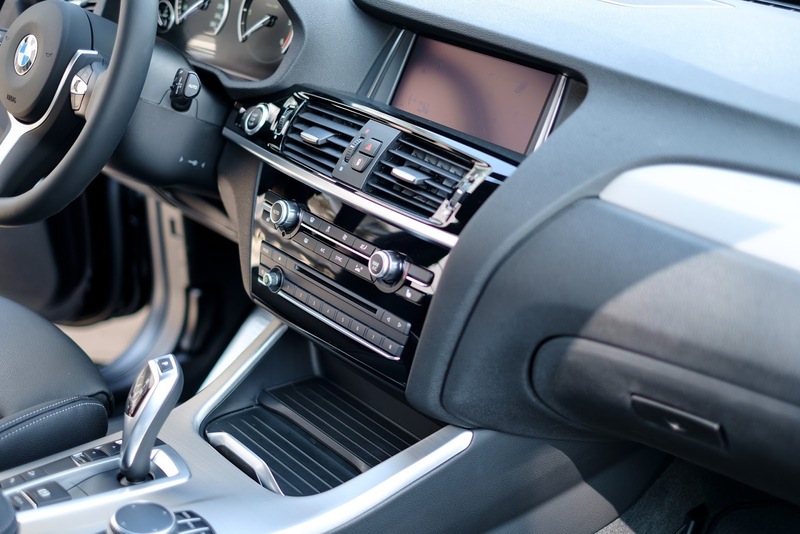 Germs come into our vehicles every day + microorganisms are brought in on our shoes, on pets' paws, etc. We're 'living' in our cars for a good portion of the day and breathing all of that in, or touching it! Having the interior of your car vacuumed, washed, wiped down, and all of the above will help cut down on the germs and will keep you and your family much healthier. You'll be starting good habits that will have lasting effects. Once you start having your vehicle regularly detailed, you won't want to go back to the way you lived before. You'' love how clean the interior and exterior are, and you'll be begging your kids to wipe their feet before entering the car. Really, you'll be setting a good example for your kids, and you'll be showing them the importance of keeping up with your car. If you instill this concept in them while they're young, they'll follow in your footsteps and do the same when they own their own vehicles one day. Brought to you by Sunset Mitsubishi.